In New York, the educational technology scene is dominated by start-ups and Meetups. I belong to the NY EdTech Meetup, which is popular and organizes good panels and discussions on a regular basis. At times, though, I’ve thought the community would benefit from another organization stepping in and being active. Over the past few months, Columbia’s EdLab has taken on that role. Though EdLab is part of the Teachers College library system, it operates relatively independently, brainstorming its own ideas and quickly prototyping them. The result is a steady stream of innovative educational software products, including apps, news sites and online curricula. In recent years, eight-year-old EdLab has started opening access to these services and websites beyond Teachers College. The 40-person organization has also begun connecting entrepreneurs, students, faculty and working teachers through seminars and demo nights. EdLab staffers told me outreach is a natural transition since EdLab regularly speaks to these groups. You can read more about EdLab and its evolution in this story I wrote for EdSurge. Anyone interested in edtech, particularly New York edtech, may want to keep an eye on EdLab’s product-development and community-building work. 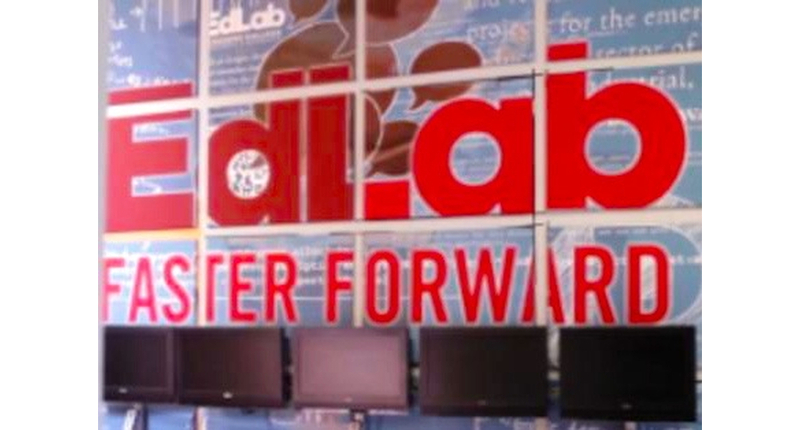 EdLab has some big plans, including a multi-year effort focused on rethinking education, which will kick off in 2013. Special thanks to Kate Meersschaert, the EdLab Innovation Fellow who introduced me to the lab and its many projects.